“Inclusion criteria” refers to the characteristics a person must have to be considered for study participation. For instance, if the study is examining a new treatment for Stage III RA, a person must have been diagnosed with the appropriate stage to participate. “Exclusion criteria” refers to characteristics that would prevent a person from study participation. The primary reason for exclusion criteria is to make sure a person can safely participate in a trial. For example, if a woman is pregnant or of childbearing potential, it is likely that she will not be able to participate in the trial due to safety concerns. Participants must meet disease criteria as specified by the study protocol. 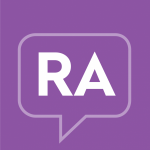 For instance, participants might need to have been having more than 5 symptom days per month for the previous 6 months to be considered for a particular trial for a new RA medication. The disease criteria may also prevent participants with certain comorbid conditions from entering the study. For example, some studies may prohibit people who have compromised immune systems from participating, which is due to concerns for the person’s safety. Participants must not have taken certain drug therapies for a time period that is specified in the study protocol prior to the first visit. For example, a study protocol may require that participants have not taken any triptans for 6 months prior to the start of the study. Participants must be willing to notify the staff of any change in their medical health, including surgeries or medical procedures, or change in drug treatments during the course of the trial. For example, if a person participating in a clinical trial for a new RA medication was diagnosed with depression, he or she would need to inform the staff running the clinical trial.